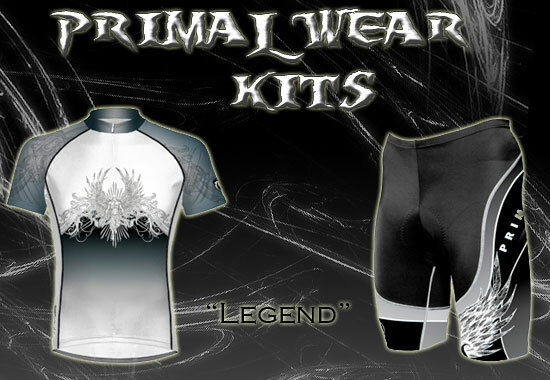 Primal Wear Legend Jersey and Shorts Combo Kit. Ride like a legend with Primal Wear's new Legend Cycling Jersey and Bike Shorts Combo Kit. The Legend cycling jersey is Raglan Cut with 3/4 Hidden Zipper and 3 Rear Pockets, made with 100% SpeedPro advanced moisture transfer fabric that wicks moisture away as you ride. Jersey and shorts typically ship in 1-5 business days.